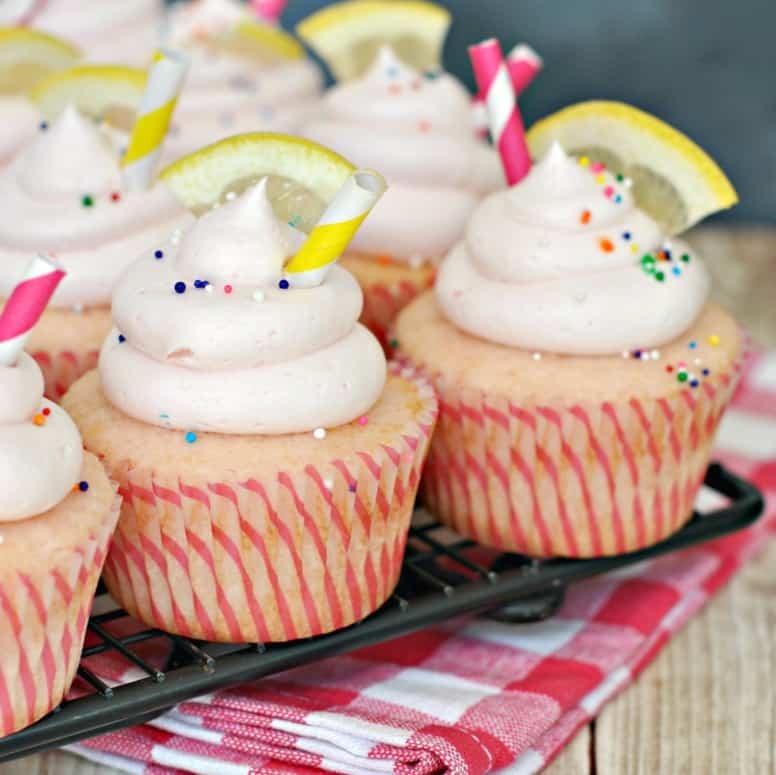 Summer has come to an end, but we can still enjoy these FUN Pink Lemonade Cupcakes! 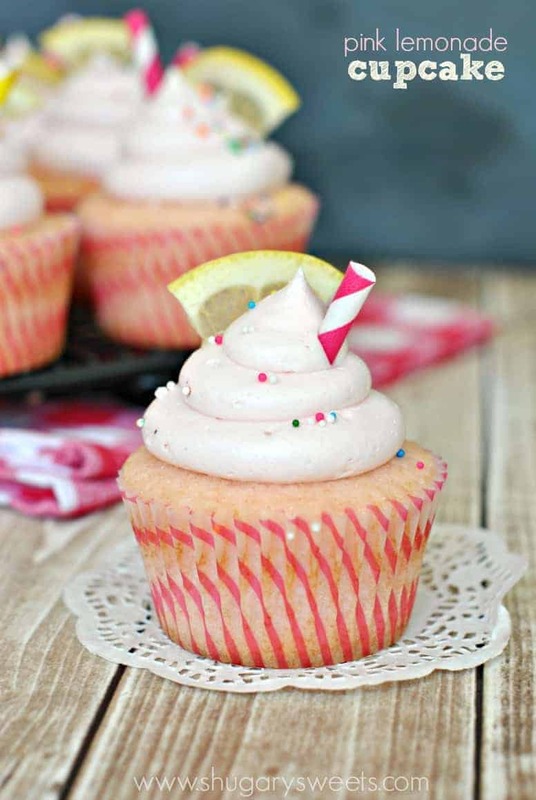 The soft, from scratch, pink lemonade cupcake is topped with a creamy pink lemonade buttercream frosting. Don’t forget the fun garnishes too! I adore summer. The fun. The sun. The carefree-ness about our days with no school and homework. I made these cupcakes for my daughter who was going to an end of summer pool party a few weeks back. 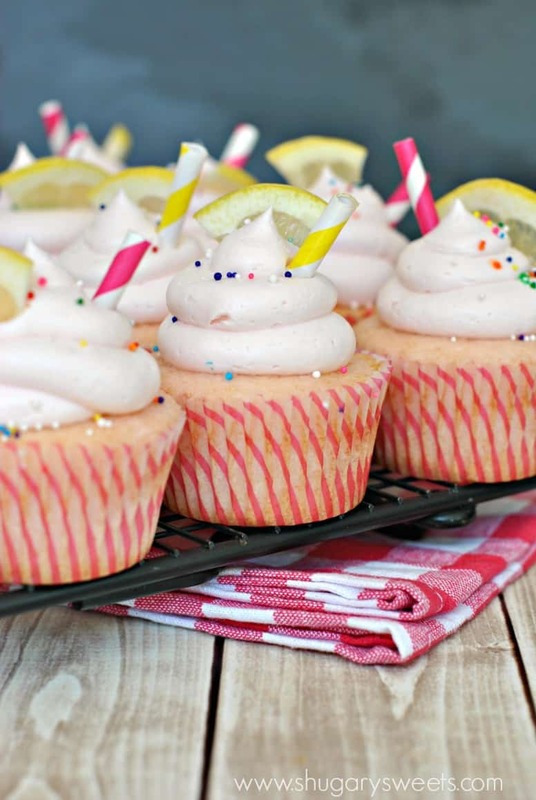 What better way to say, “yay summer” than with fun pink lemonade cupcakes!?! Speaking of lemonade, am I the only horrible mother who cringes when my kids ask to run a lemonade stand? I usually give in once a summer, but never with an enthusiastic “hooray, let’s do this” attitude. It’s usually with an attitude of “great, there goes the last of the lemonade, solo cups, one broken pitcher, and a sticky table.” Not to mention, I know I’ll be watching the whole time, cause what mom in their right mind let’s their little kids stand on the corner, inviting strangers in cars to pull over? Seriously, whoever first came up with this idea, was not a freak of a mom like me. Don’t even get me started on Halloween (kids knocking on strangers doors to get candy that I probably won’t let them eat). 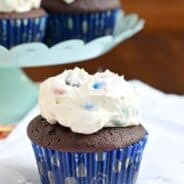 Now that I have turned this fun cupcake post into a rant on my paranoid, mom mindset….let’s talk about these cupcakes. I used my favorite, from scratch, white cake recipe and added in frozen lemonade concentrate (which I thawed). I also added a drop of pink food coloring (I use Americolor gel paste colorings), I thought the pink lemonade gave it more of a purple/gray hue. The coloring is optional though. I also sliced a small lemon into thin slices, then cut each lemon into 6ths. This gave me cute little garnishes for the cupcakes. Of course paper straws cut into small pieces and some bright colored sprinkles add a fun touch too! ENJOY!! These look like perfection and the ideal way to say goodbye to summer!! These cupcakes look so delish. So going to test out these + your favorite white cake recipe soon! I always see the stands on the (busy) corners with NO parents and I’m all what are they thinking??? I won’t even let Jordan in the front yard alone, and we live on a cul-de-sac. I love these cupcakes! These are super cute! I have never had a lemonade cupcake but I just might have to try! These are so cute! I love the garnishes. Makes these perfectly party worthy! Summer isn’t over! Well, not in my world of denial. And your cupcakes are really helping that denial along. These are gorgeous! Lemonade stands make everybody cringe. You are not alone! You are so not alone in your mom paranoia. I’m right there with you. I don’t even like my kids walking around our block alone, so why would I let them invite strangers to buy lemonade. And oh, my Halloween, don’t even get me started! LOL! 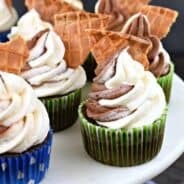 Just hand me a few of these fun summery cupcakes to stop my mom rant! These are gorgeous looking! I’m the SAME way with lemonade stands! What a horrible idea! 🙂 Love these cupcakes, though. So adorable AND delicious. I want to have an end of summer party and have these as the main star! Great cupcakes. I don’t even care if it’s summer or not, as long as I get to enjoy these cupcakes! How cute are these cupcakes?!?! Great recipe!! 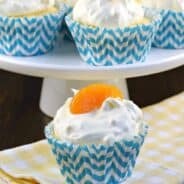 I love the idea of a tangy cupcake, paired with fluffy frosting –YUM! These are just too cute!! Perfect for summer parties! These look so cheery for any time of year! I love pink lemonade anything, and these sound perfect. These look so cute and preppy! I’m a former baker by trade who is still obsessed with props and I LOVE your use here! Thanks 🙂 I love adding in the garnishes too!! Ok so I am all for Fall baking and have been waiting for it for ages but AIMEE THESE CUPCAKES ARE SO PINK AND FLUFFY I WANT TO DIE! Death by adorable cupcakes. I go back and forth between craving fall, and hanging on to summer! I’m such a baking flake, hehe! Pink is definitely better than a greyish hue! I think the straw is so cute! These are seriously so cute! What a way to say goodbye to the summer! My daughter and I just made these. They were wonderful! We are going to bring them to our church’s dinner on the grounds for Easter. Thanks for the great recipe. I have made these twice in the past 3 weeks, one batch as a test run and shared with friends, and two batches yesterday/today for my Cousin’s Baby Shower. Thumbs up all around both from the test run and today’s Shower. I also shared your link with my coworker who made them for Mother’s Day for her family. A great success there, too. Thank you! So I’m guessing lots of sugar, some citric acid and pink colouring? Might have to try and make my own version, lol. What does it mean by thawed? Would it be possible to substitute fresh lemonade? The lemonade from concentrate in the freezer section. You can use fresh lemonade, but it won’t be as “intense” as the concentrate. Will it matter that it is in a liquid form?